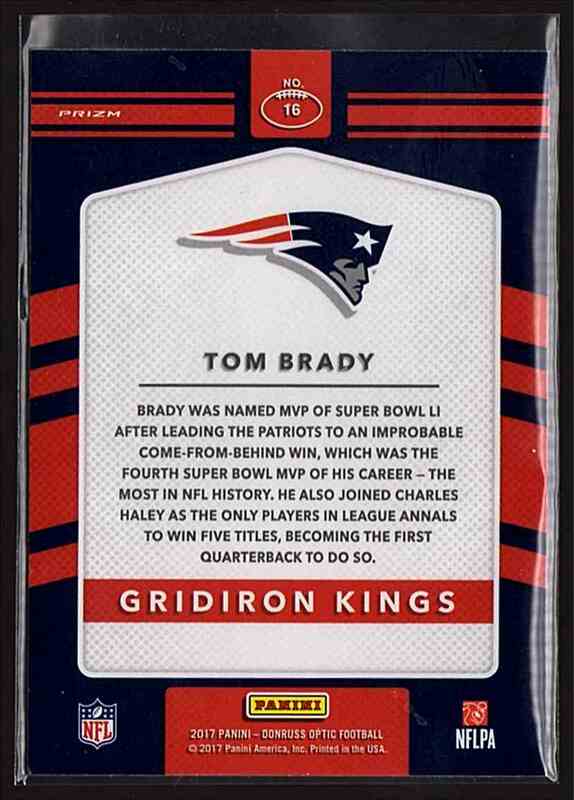 This is a Football trading card of Tom Brady, New England Patriots. 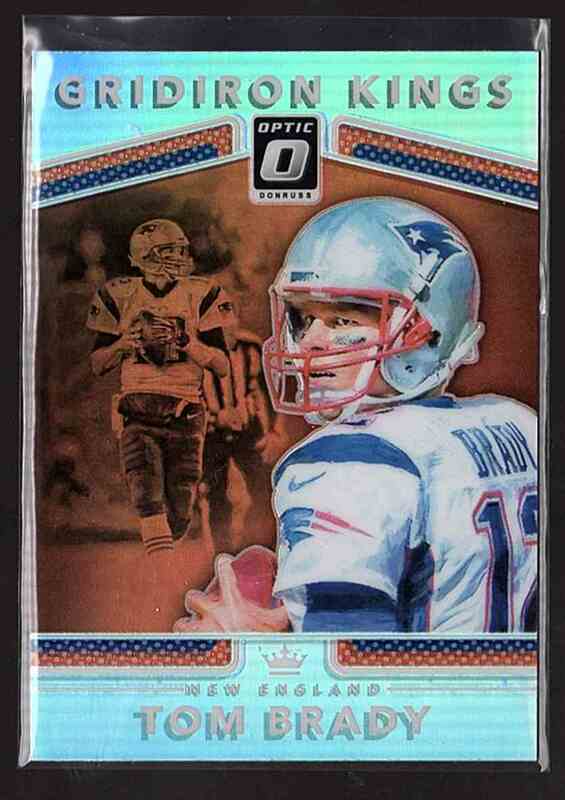 It comes from the 2017 Donruss Optic Gridiron Kings set, card number 16. 50796. It is for sale at a price of $ 2.00.